A panelist is like a guest speaker of a webinar, who has the ability to talk and turn on/off his video in a webinar. The panelist needs to install the ezTalks app and join a webinar via the app. If he joins from the web browser only, he can only watch the webinar as a view-only participant. Here we listed a few questions about how to add panelist. 1. How to invite panelist? 2. 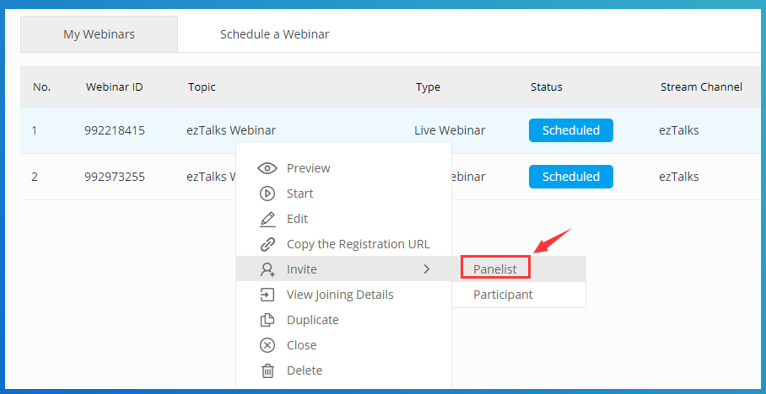 Can I set panelist during the Webinar? 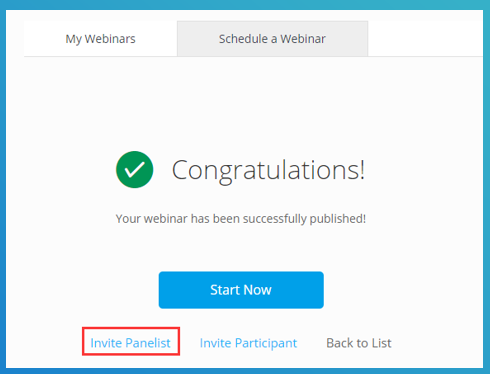 Step 1: On the My Webinar page, click on the number of the Registrants and you can see all the participants who have registered. Step 2: Right click on one of the registrants, and you can set him as Panelist and there will be a little blue icon next to him. 3. What controls does a panelist have? 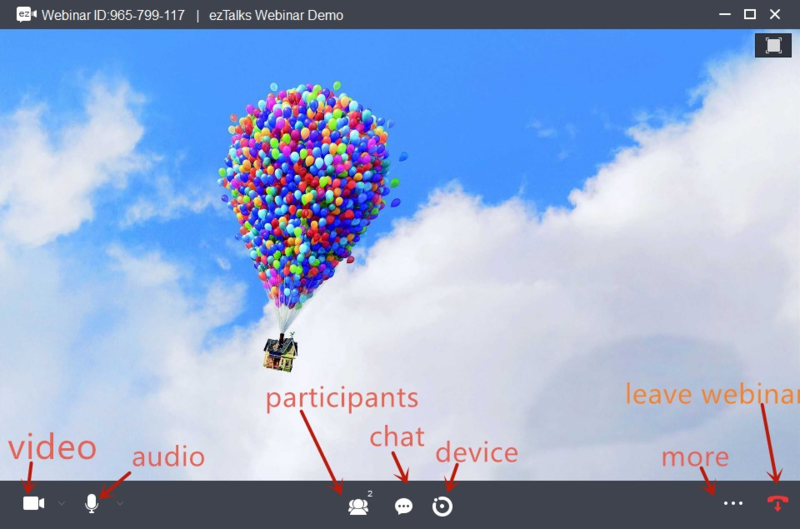 The panelist can join the webinar via the ezTalks app and you will see the controls on the bottom of the screen. Mute/Unmute: This allows you to mute and unmute your microphone. Audio Controls (via the ^ arrow next to mute/unmute): The audio controls allow you to change the microphone and speaker that ezTalks is currently using on your computer. Start/Stop Video: This allows you to start and stop your own video. Participants: This opens up the Participants window. Chat: Access the chat window to chat with the host, the other panelists or all attendees. More: Clicking on More will give you access to additional options. Leave: Click this to leave the webinar. Only the host can end the webinar. Note: if a panelist needs to share screen in a webinar, he can apply to be the presenter.